A comfortable fit with a stylish cut. Moncler has the dynamic metropolitan woman in mind who lives a city life 360°, even in the summer. 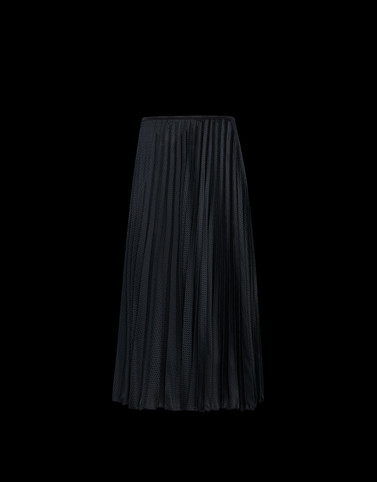 This pleated mesh skirt is the perfect example of fashion and comfort, ideal to wear with a white t-shirt and a leather jacket. Wash max 30°C; Do not bleach; Do not tumble dry; Ironing maximum temperature 110°C - without steam; Dry cleaning in tetrachloroethene; Professional wet cleaning; Dry flat; Wash separately; do not iron pleated fabric; It is advisable to wash and iron the garment on reverse.